Rick van der Lans is a highly-respected independent analyst, consultant, author, and internationally acclaimed lecturer specializing in data warehousing, business intelligence, big data, and database technology. He has presented countless seminars, webinars, and keynotes at industry-leading conferences. 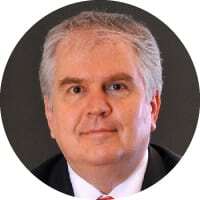 For many years, he has served as the chairman of the annual European Enterprise Data and Business Intelligence Conference in London and the annual Data Warehousing and Business Intelligence Summit in The Netherlands. Rick helps clients worldwide to design their data warehouse, big data, and business intelligence architectures and solutions and assists them with selecting the right products. He has been influential in introducing the new logical data warehouse architecture worldwide which helps organizations to develop more agile business intelligence systems. Over the years, Rick has written hundreds of articles and blogs for newspapers and websites and has authored many educational and popular white papers for a long list of vendors. He was the author of the first available book on SQL, entitled including Introduction to SQL, which has been translated into several languages with more than 100,000 copies sold. More recently, he has published the book Data Virtualization for Business Intelligence Systems (which has sold over 100,000 copies and has been translated in many language). Rick is one of the early members of the BBBT (Boulder Business Intelligence Brain Trust) whose mission it is to leverage business intelligence for industry vendors, for its members, who are independent analysts and experts, and for its subscribers, who are practitioners. He was also a member of the international standardization committee for SQL. I completed the last year of my study in computing working in a research lab in Brussels, Belgium where research was done into semantic data modelling and new database technology. I think I got the data-bug there. This was in the first half of the 1980s. Since then I have also always been interested in data-related aspects of computing. And I have always been lucky, a company I worked for started to sell a SQL product and they asked me to develop SQL course material. Which I did. That was followed by a publisher asking me to write a book on SQL. Which I did, and it became the first book on SQL available in English. This was 1987. That book got translated into German, French, Chinese and other languages. It gave me a lot of exposure internationally. Fast forward, I was pulled into the data warehouse and business intelligence world very quickly, and I haven’t left since. And I still enjoy it, because this world is still evolving and changing so quickly. It still fascinates me. Also, because you operate on the boundary between IT and the business and that’s an intriguing part of computing. The initial answer I wanted to write down was everything. But if I think about it more, it’s the architectural aspect. Coming up with architectures that lead to BI systems that really help organizations, that’s what I can really be passionate about. Although, deep in my heart, I am still a nerd. I still get enthusiastic about new technologies. For example, what some vendors are now doing with SQL databases engines running in GPUs is cool. New technology can mean create new opportunities for customers. I think there are two groups that influence me. First of all, the big visionaries working for customers. They really can help customers to move forward with their organization. Unfortunately, most of them are not known outside their organizations. Which is a pity, because I think we can learn from them. Secondly, the people who have influenced me over time are Ted Codd, Chris Date, Michael Stonebraker, Colin White, and Sjir Nijssen. Right now, I don’t have specific influencers influencing me, although I do read material written by companies such as Gartner, Forrester and IDC, just to see what they think about a certain technology or approach. There are many people who influence me and from whom I learn. Naming them would undoubtedly lead to forgetting some. So, better not do that. I have presented public speeches, seminars, workshops, and keynotes in numerous countries for over 30 years. I probably do about 50+ of them per year. For example, I present at most of the TDWI events. I publish articles and blogs on LinkedIn that are being read by thousands of people. Over the years I have written several books, the most recent one was on data virtualization technology. The whitepapers I write for vendors about new technologies and architectures are being read by thousands of readers. I am the chairman of two annual business intelligence conferences. I hope with those I do have some influence on the market. That’s always a hard question to answer. Let’s formulate it as follows. I hope that GPU-based database servers will get a lot more attention, that data virtualization servers will become mainstream products, and I hope organizations start to see that the idea of a physical data lake solution is too simplistic. And I think that slowly we will see that SQL can be a viable solution for big data systems. I know that the word SQL was like a curse in the beginning of big data. But with all the new technologies that have become available those two years, I think SQL can help organizations to adopt big data more easily. An easy prediction is the deployment of artificial intelligence everywhere. I enjoy writing whitepapers for vendors. I have already written quite a number of them and especially if they contain an educational angle, I love writing those. I have also presented at numerous vendor events. That’s always fun to do. With respect to product development, I have helped start-ups to formulate their marketing message more clearly. It’s not always obvious, when a new product has been developed, to indicate what’s special and what the use cases are. That may sound easy, but that’s not always the case. They can contact me via email (rick@r20.nl) or via LinkedIn. That’s normally the way organizations from all over the world find me.